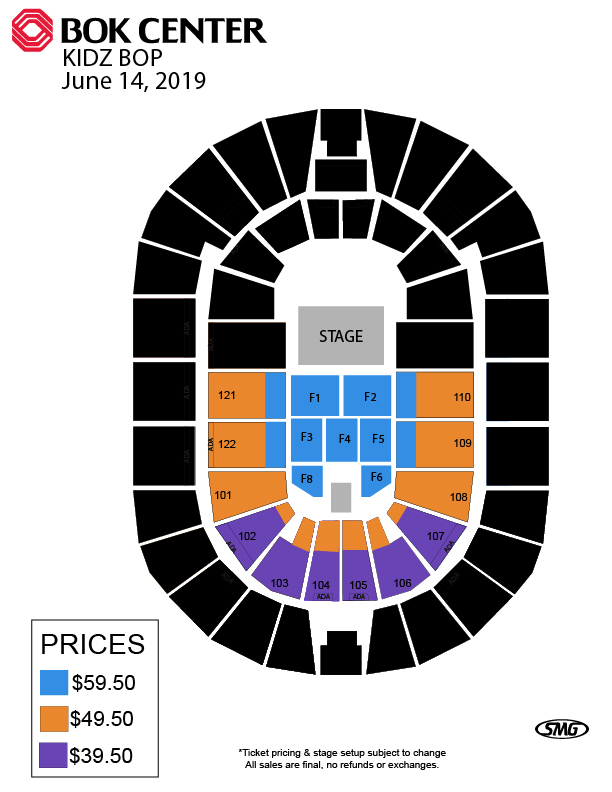 KIDZ BOP World Tour 2019 on Friday, June 14, at 7 p.m. Proceed directly to your entry gate. There is no need to go to the box office. This is your ticket to the event. Contact BOK Center at (918) 894-4200 with any questions.